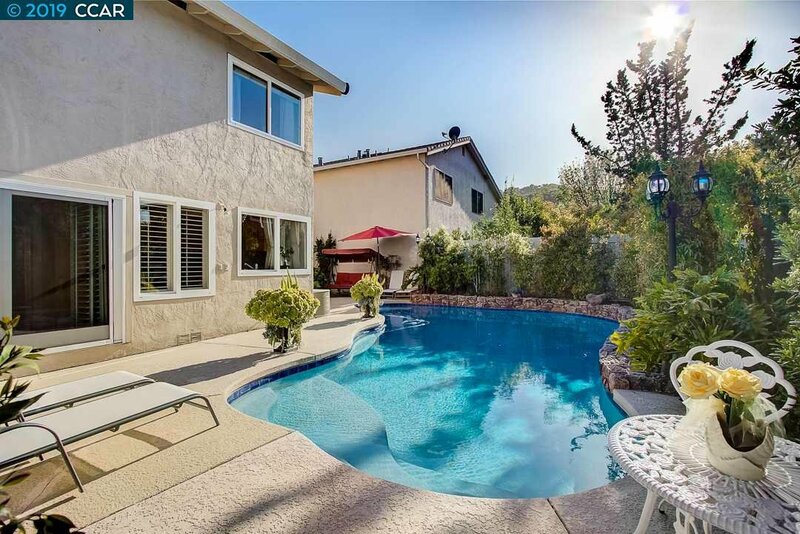 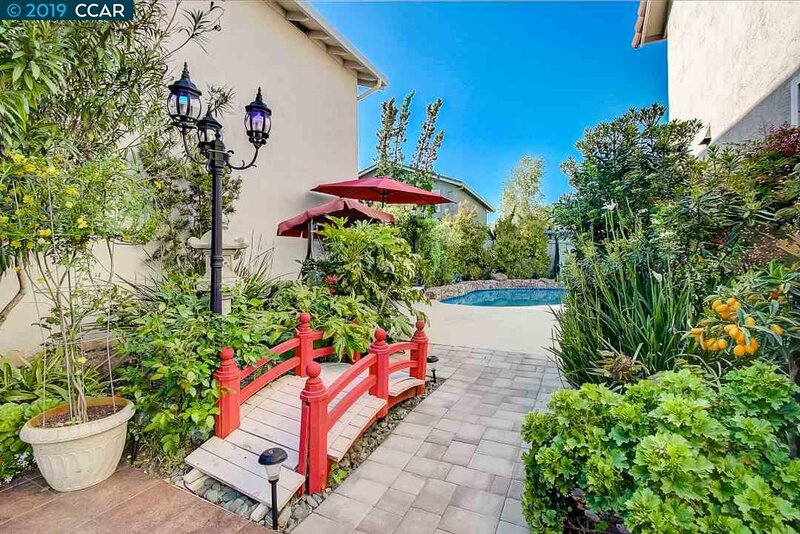 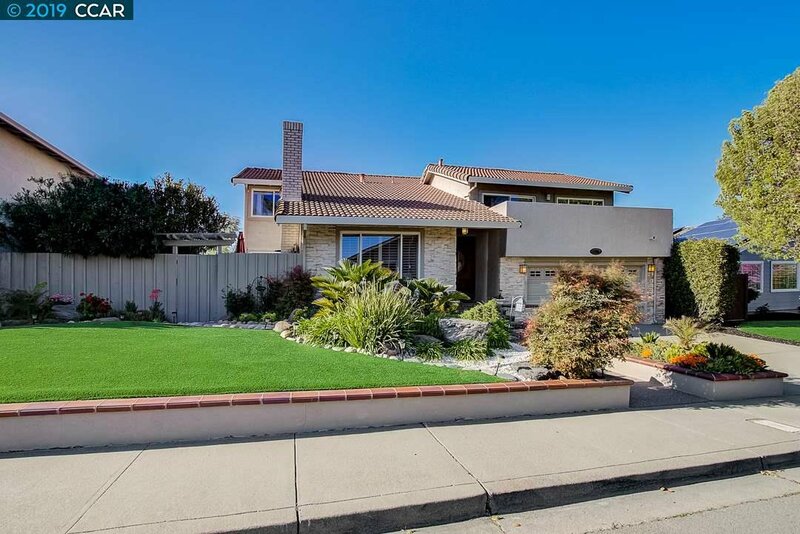 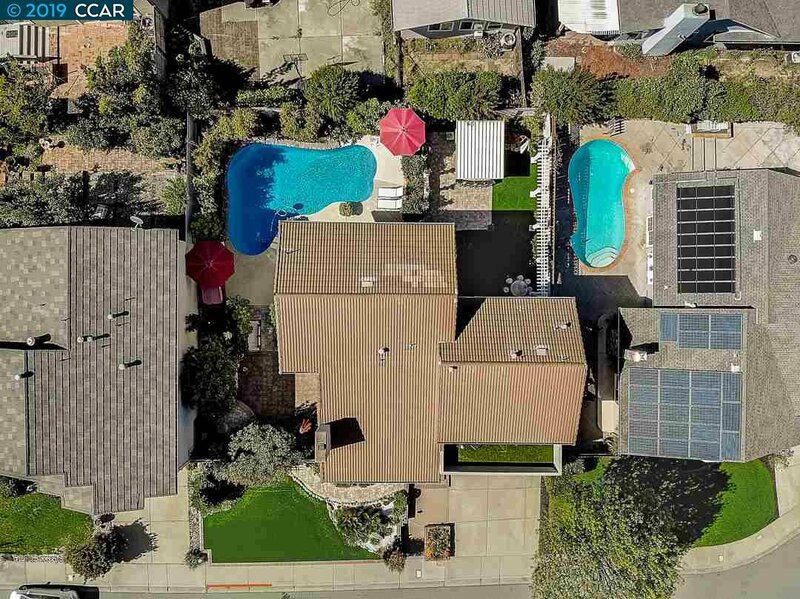 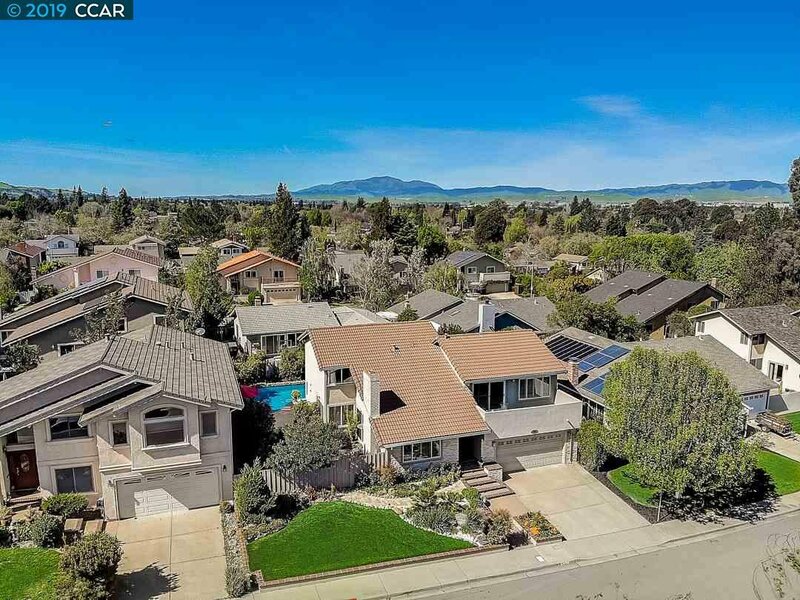 This meticulously updated light-filled home is located in the desirable foothills of Pleasanton, about a 2 min walk to the top-rated schools and Oakhill Park. 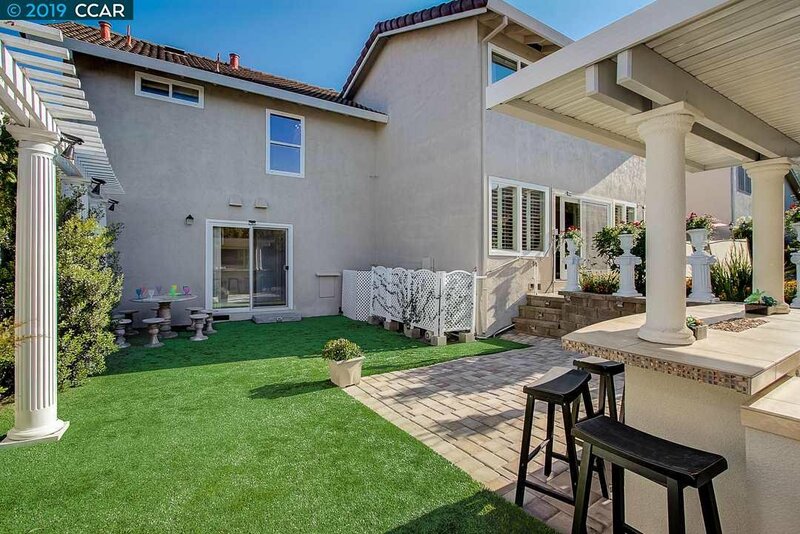 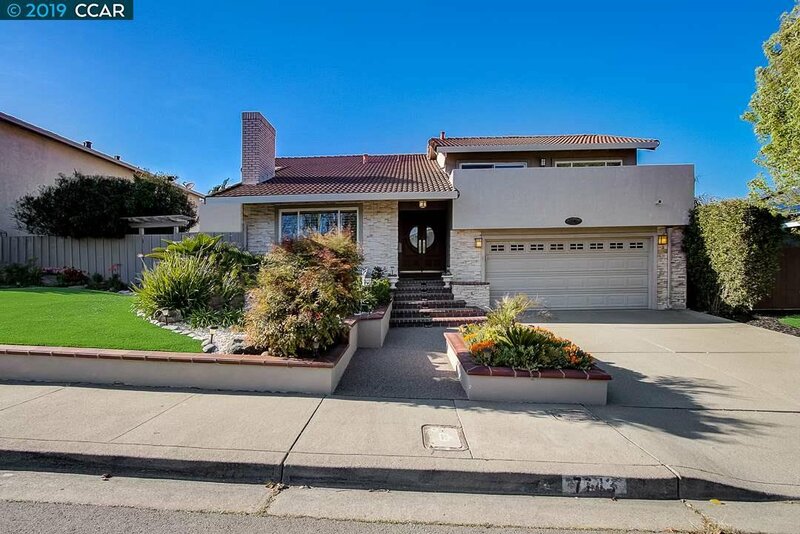 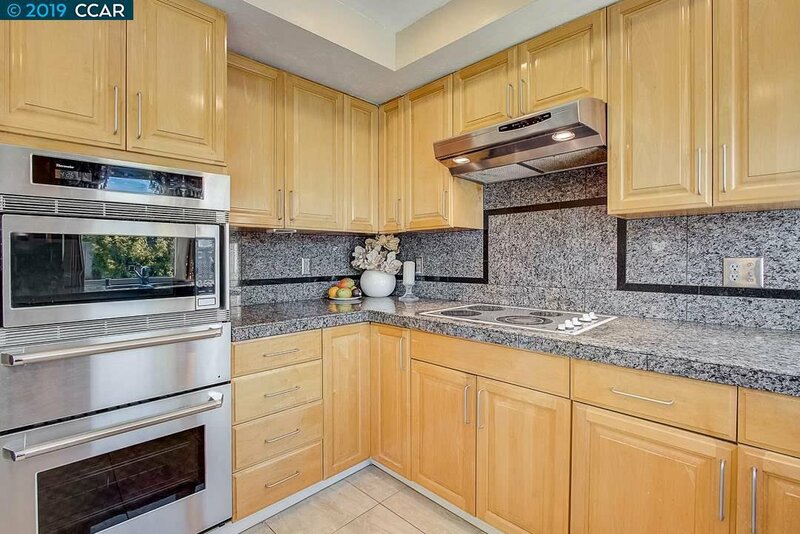 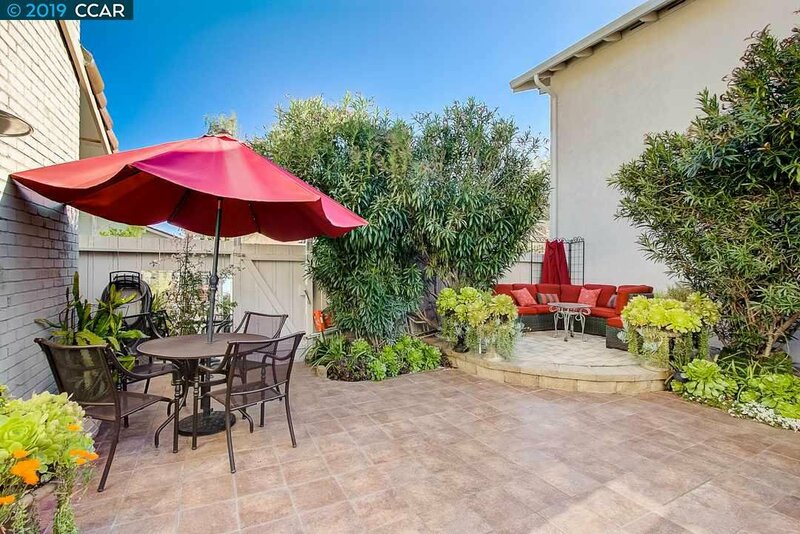 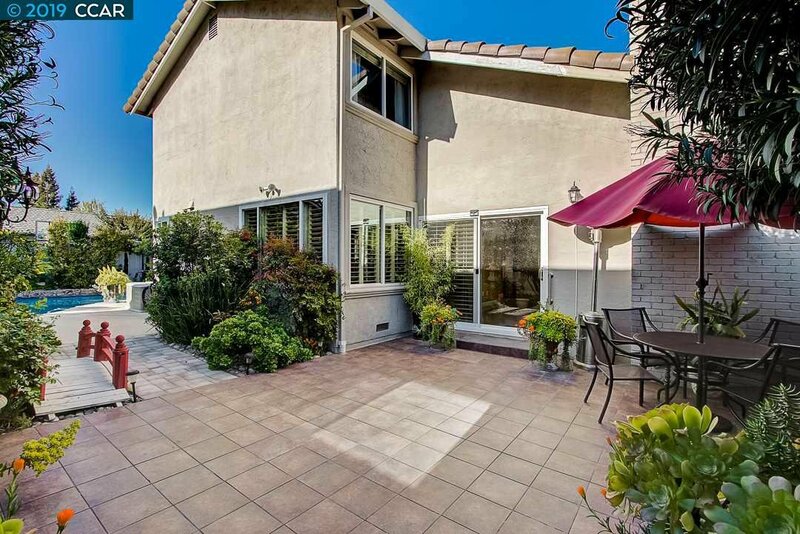 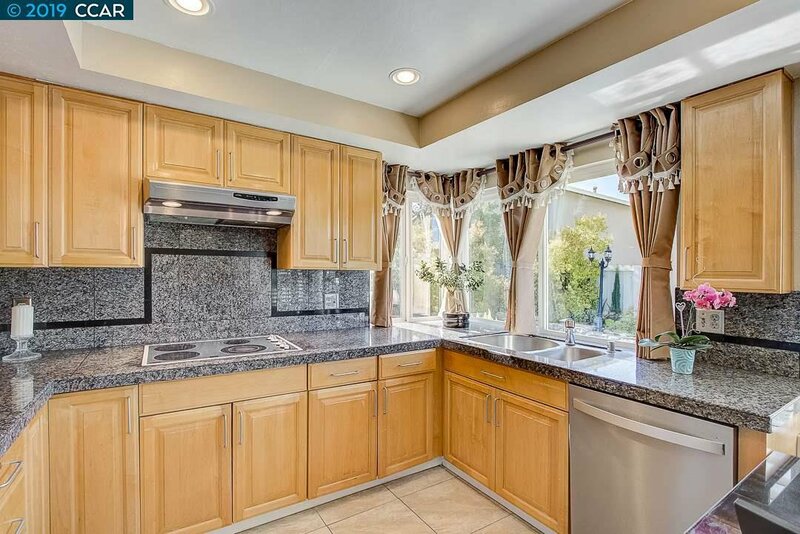 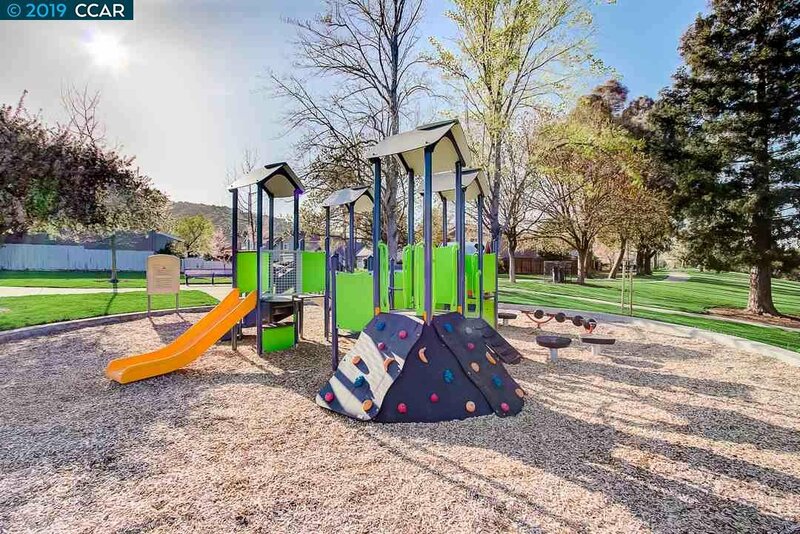 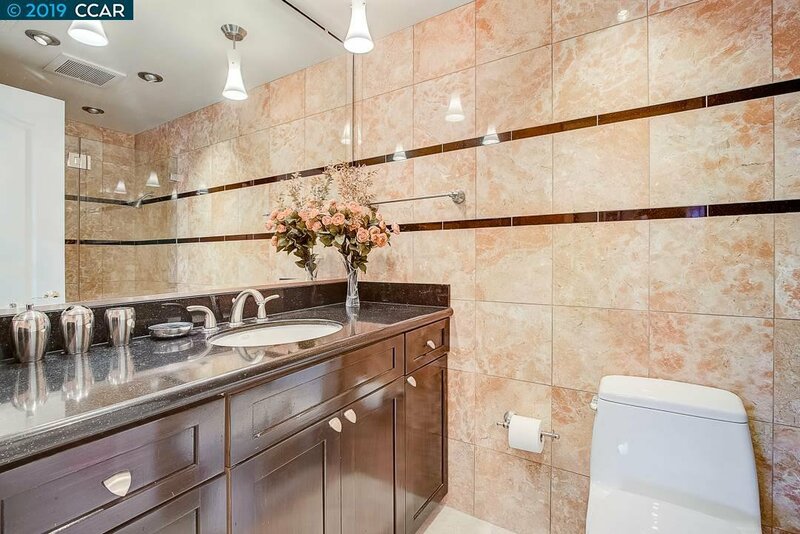 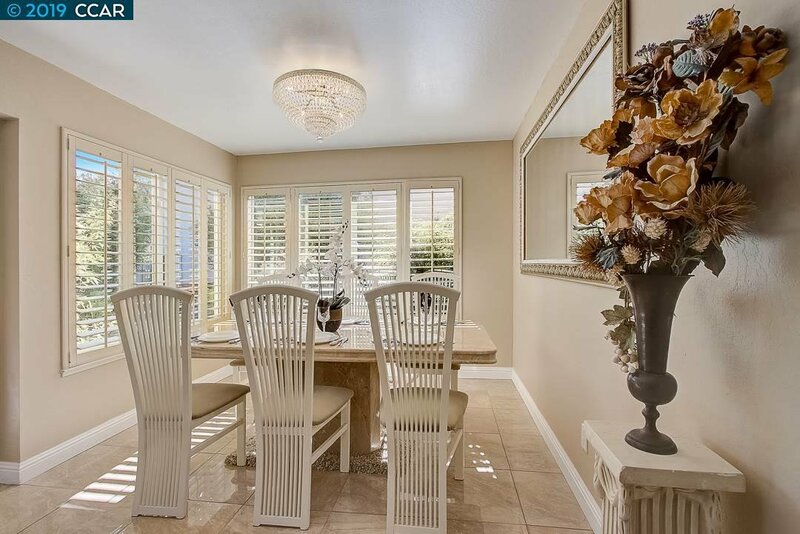 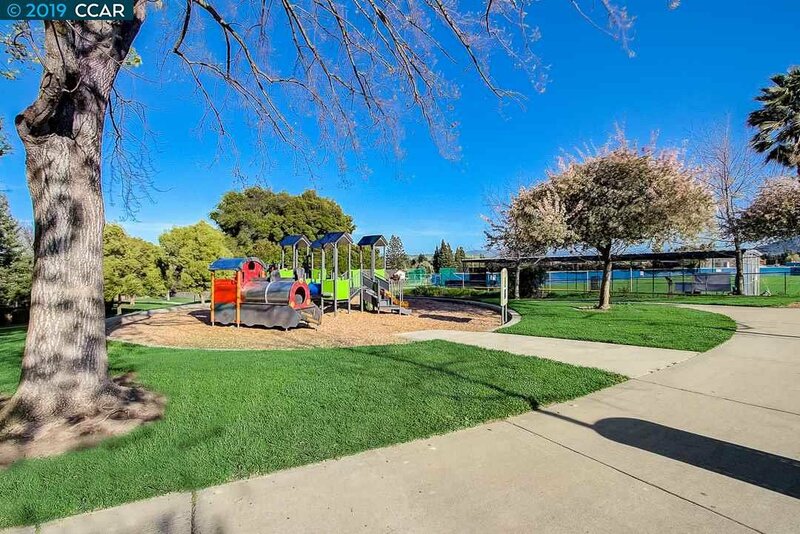 Just a short distance to BART, 580/680 freeways, medical center, Stoneridge Mall and dining. 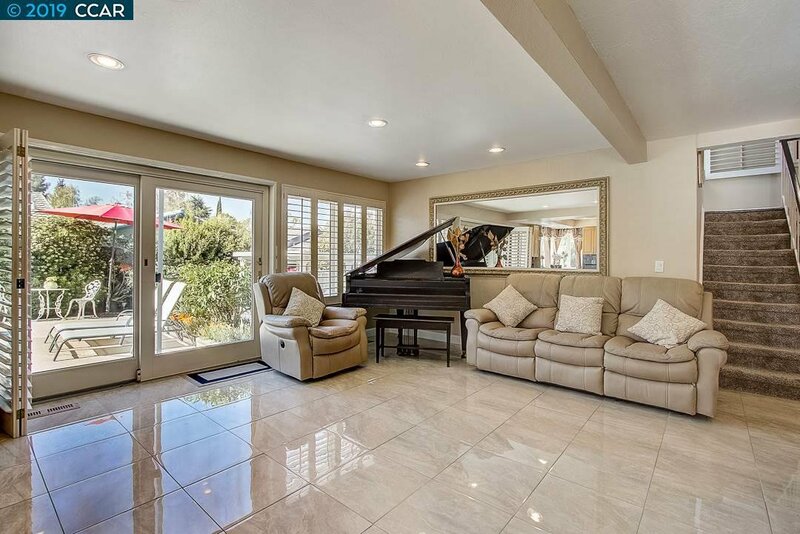 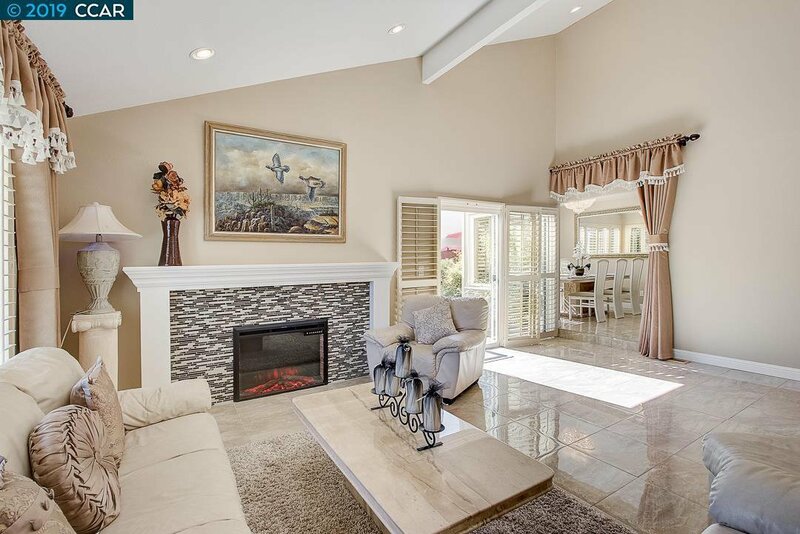 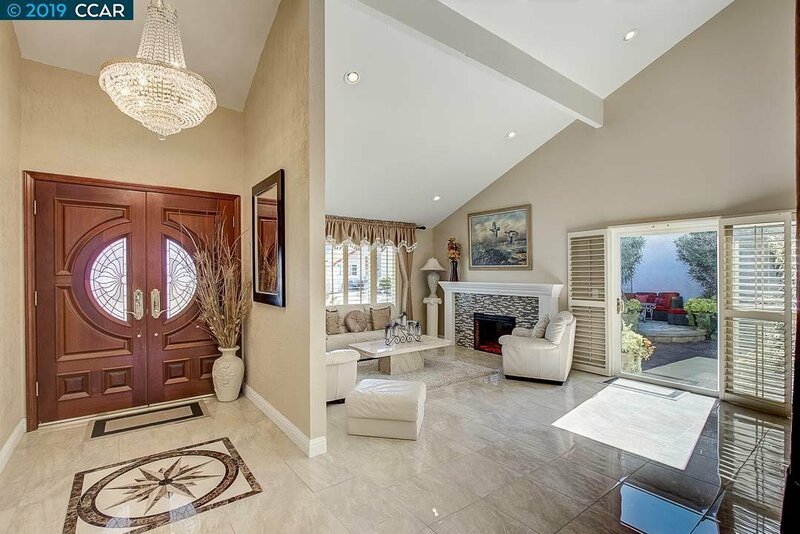 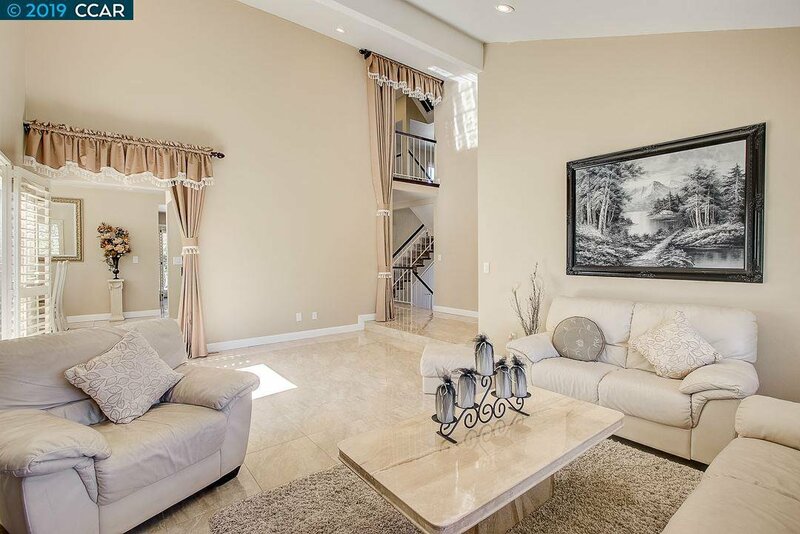 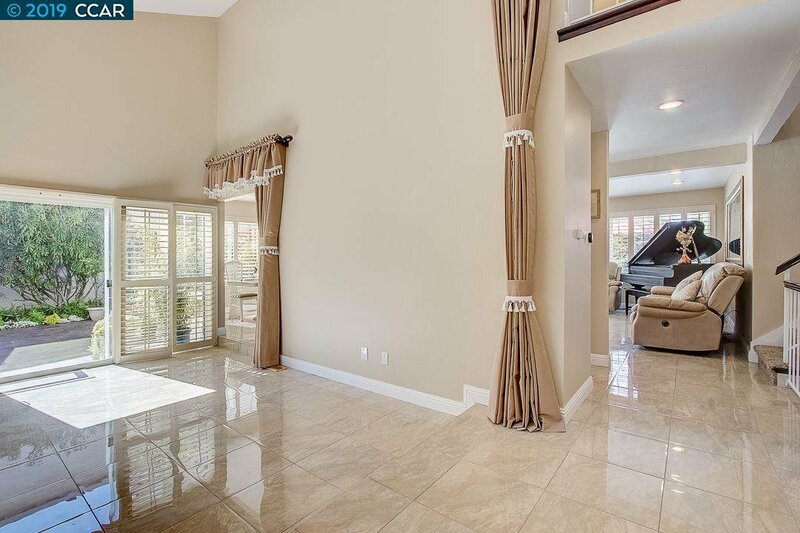 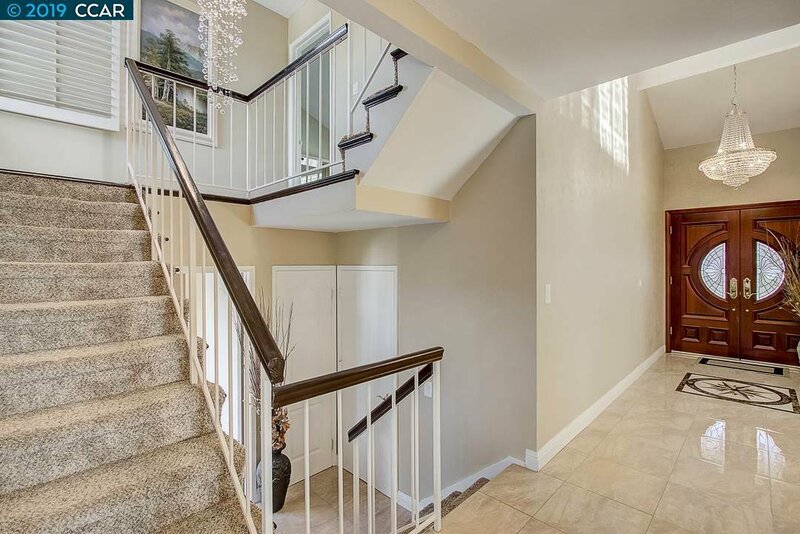 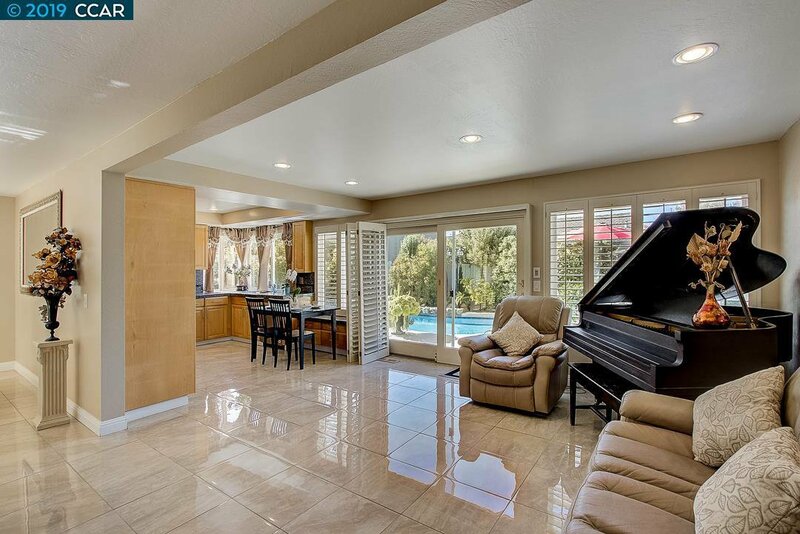 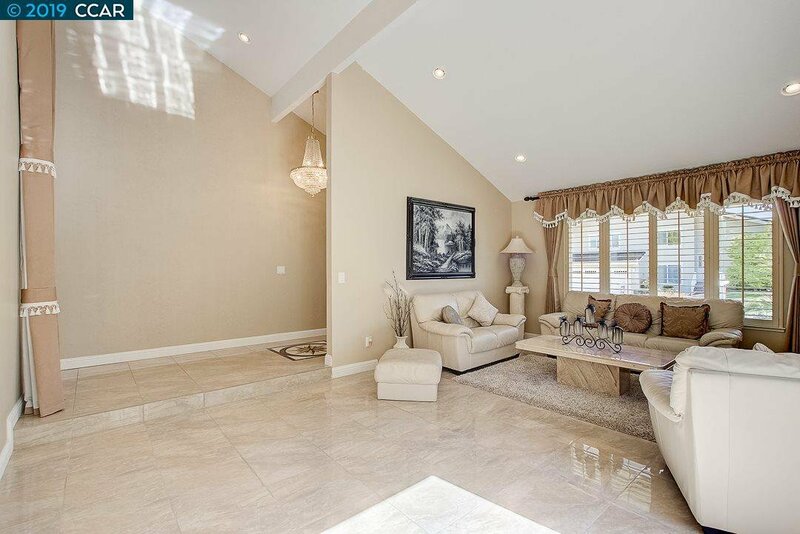 Step into this impressive foyer with tile flooring, massive chandelier and easy flow to the formal living/dining room. 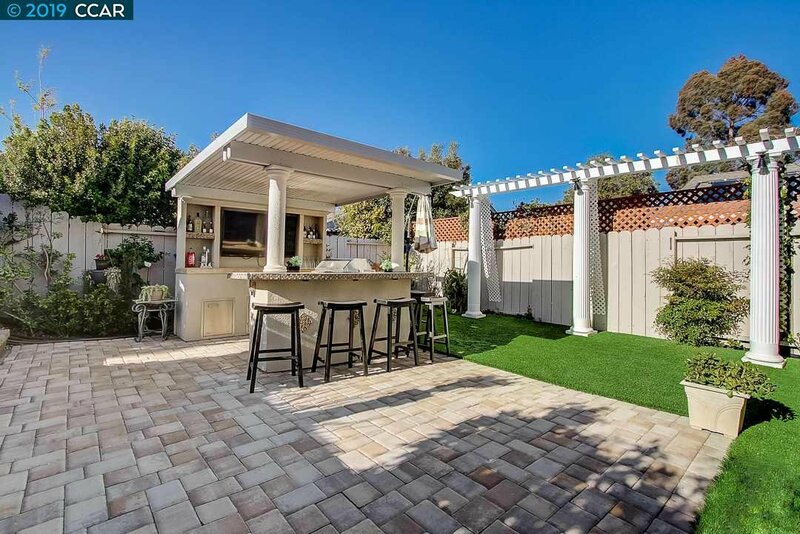 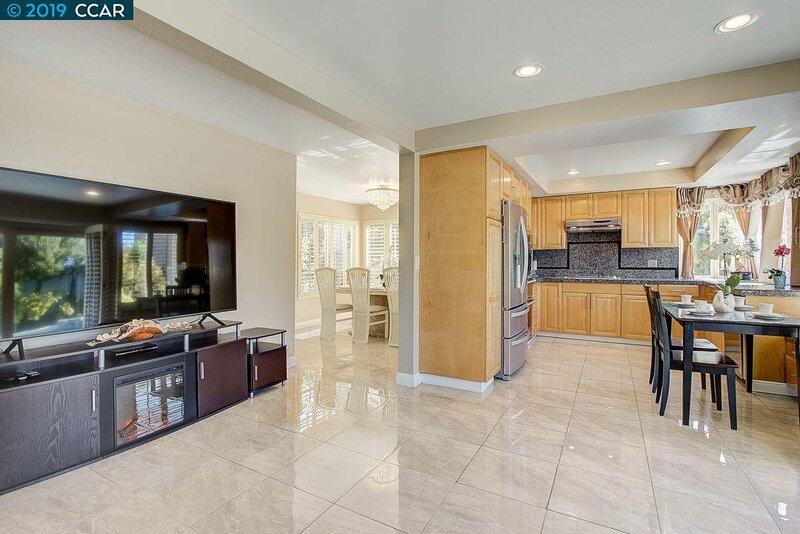 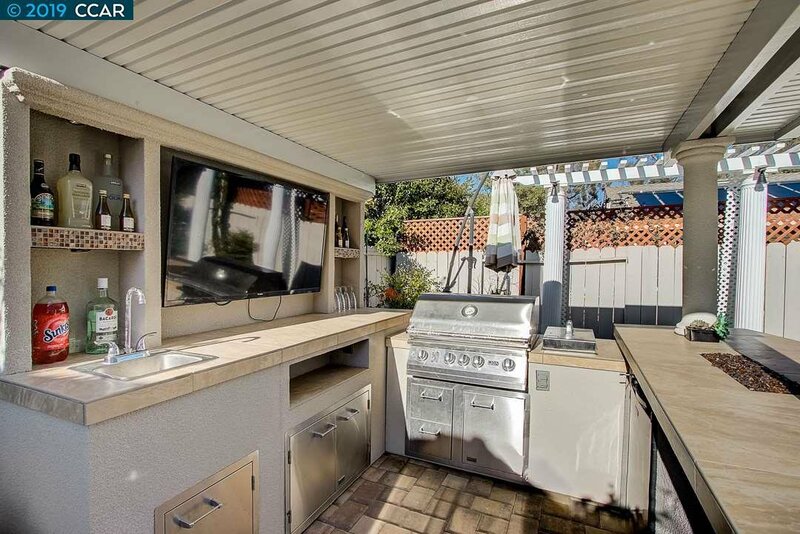 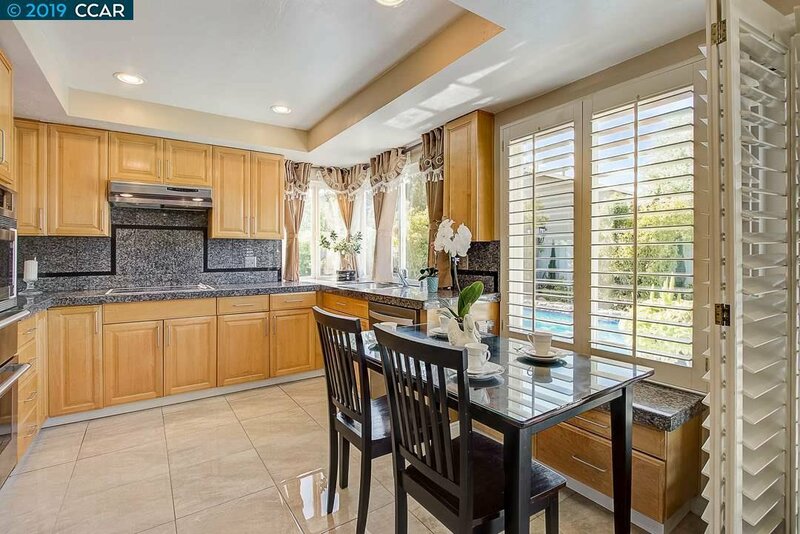 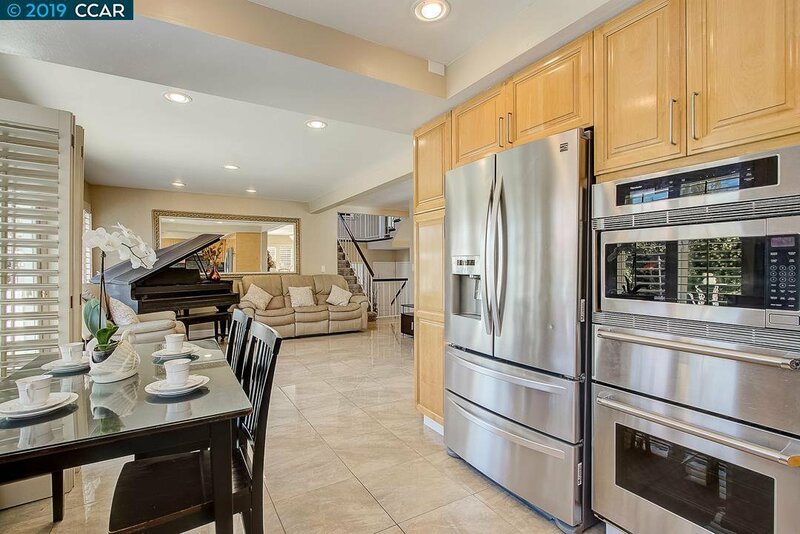 The updated kitchen offers granite counters, stainless steel appliances and direct access to the beautiful landscaped back yard with re-plastered swimming pool, outdoor BBQ island, fire-pit, TV sounds system and gazebo, a great place for entertaining and relaxing. 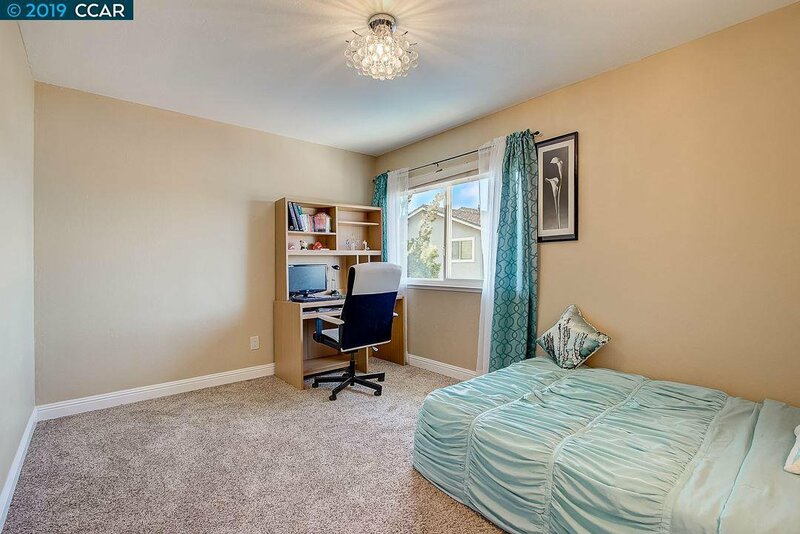 Added bedroom downstairs with a remodeled ½ bath. 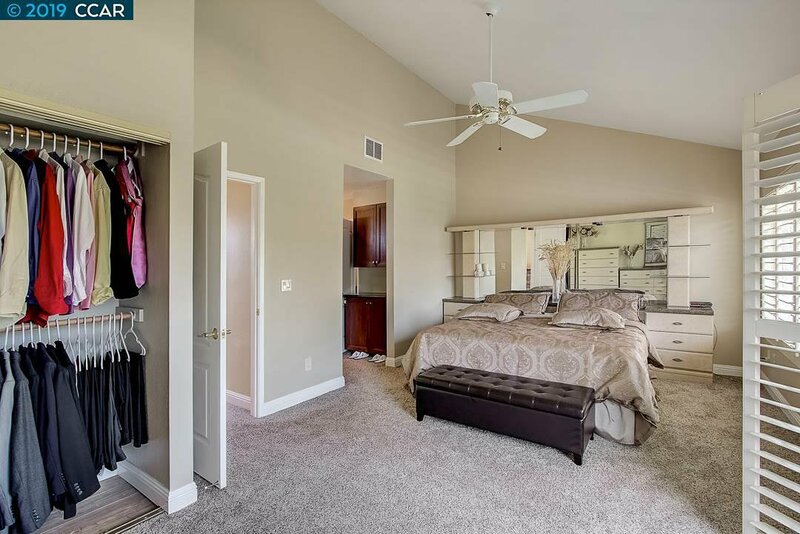 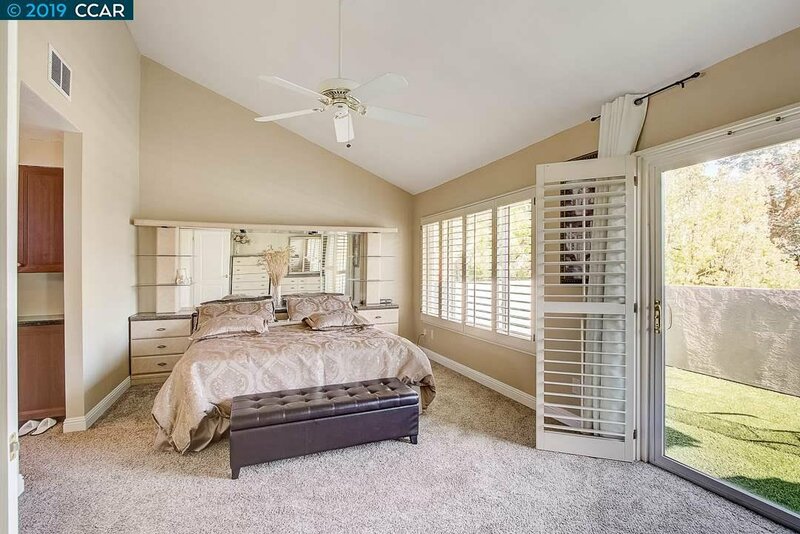 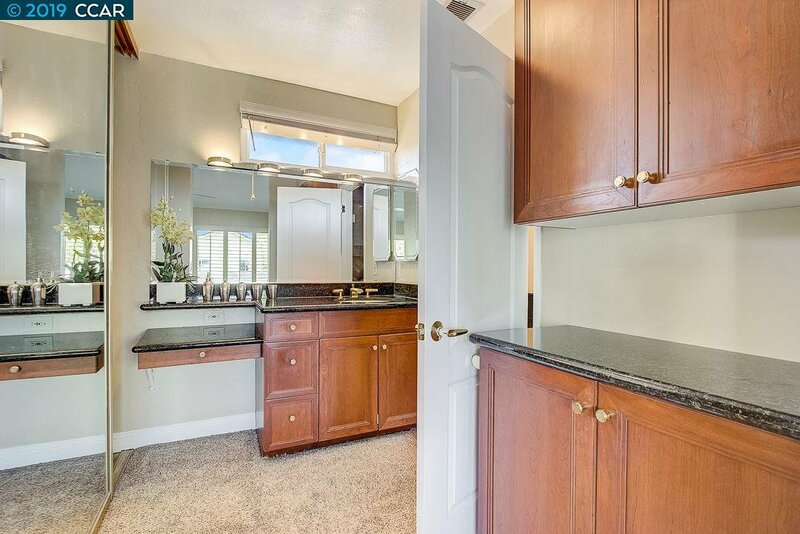 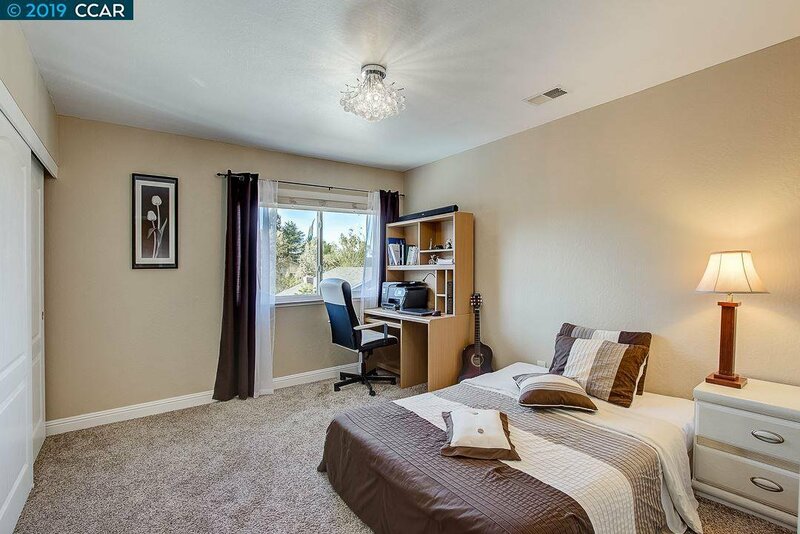 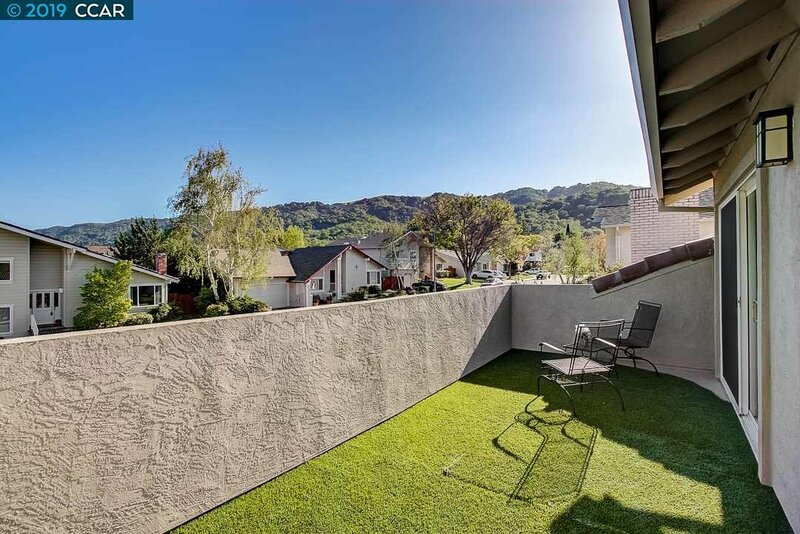 The master bedroom offers vaulted ceiling and private balcony with a view of Pleasanton Ridge. 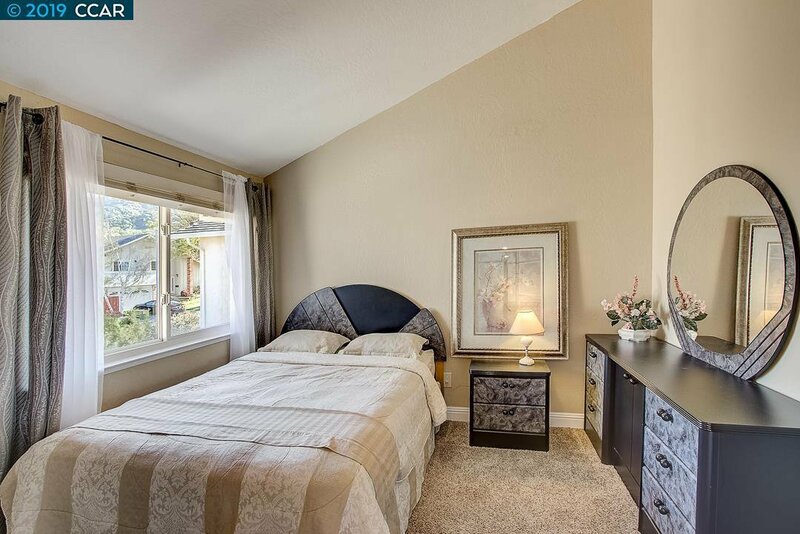 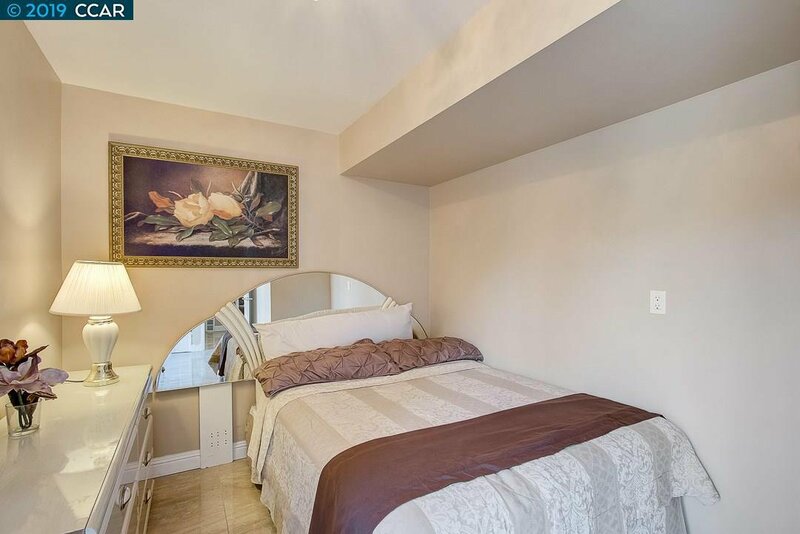 3 additional bedrooms with a full bath. 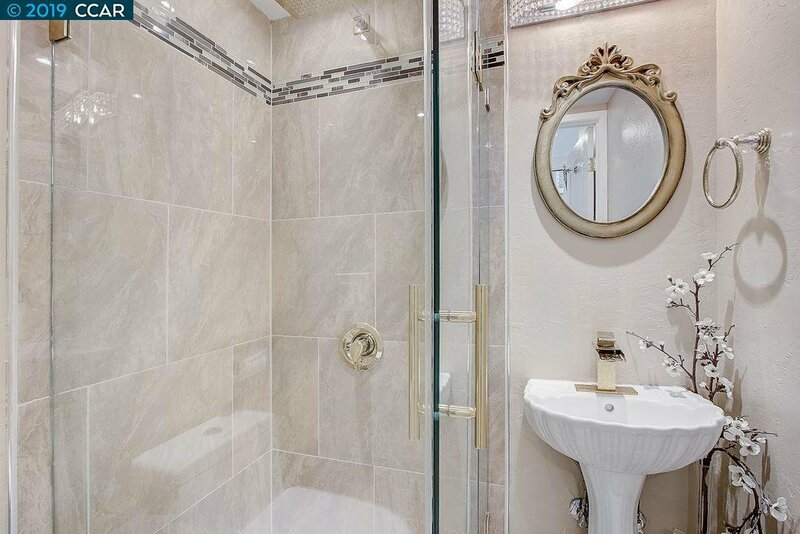 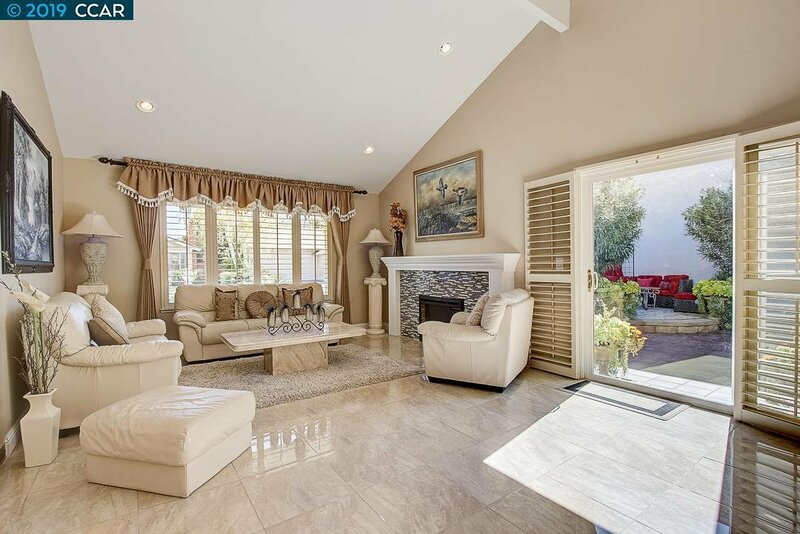 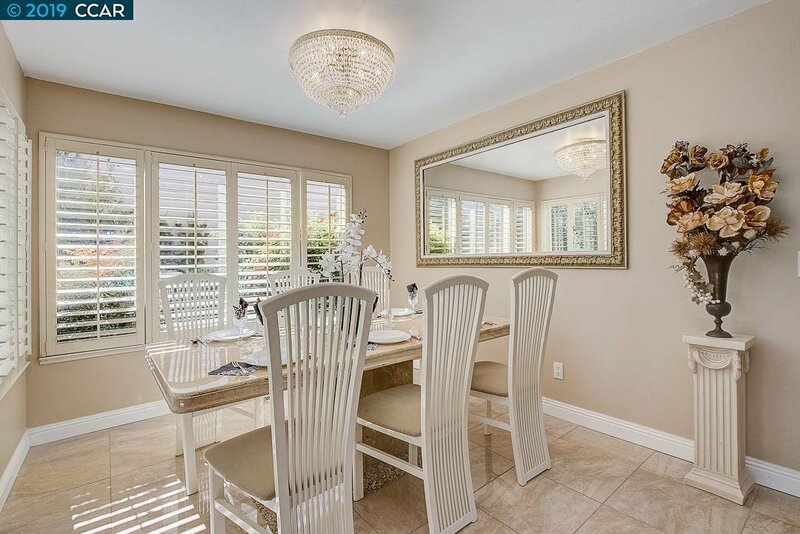 Recent updating in this pristine home includes new tiles floor, new carpet, interior and exterior paint, new fireplace, recessed LED lighting and plantation shutters throughout.